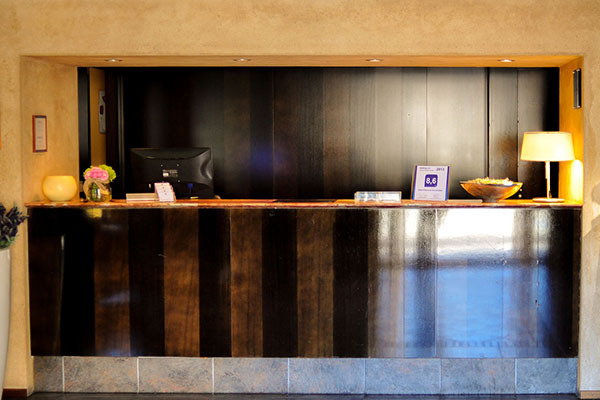 The location of Hotel Palacio de San Esteban makes it special amongst the hotels in the center of Salamanca as it is in the starting point of any rout around the city: five minutes from the Plaza Mayor, from the Cathedrals and the Plaza de Anaya, the Fonseca Palace or the Tower or Clavero, even closer. 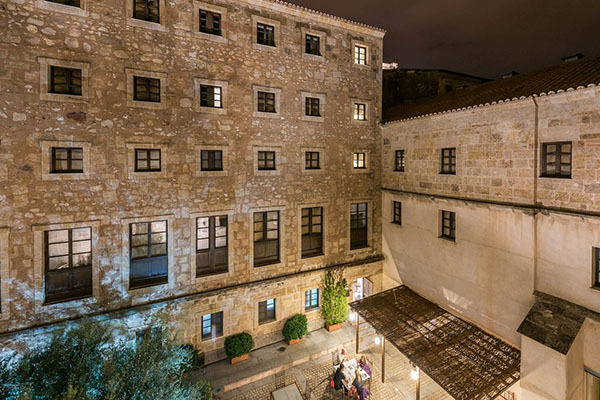 This romantic hotel in Salamanca is a true luxury. 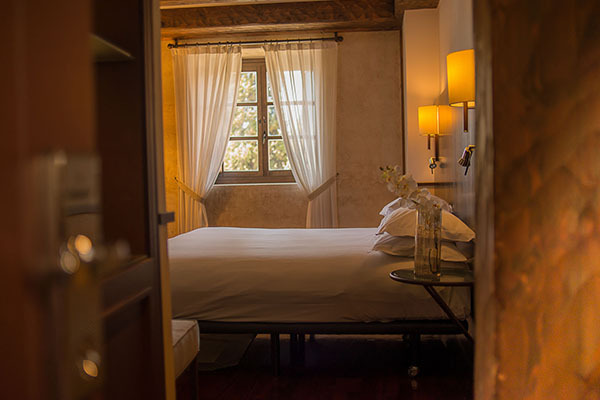 With 51 rooms that are an authentic tranquility haven, between thick century walls of stone. With views of the Cathedrals, the Patio de los Olivos or the romanic Cloister of the Convent of San Esteban. 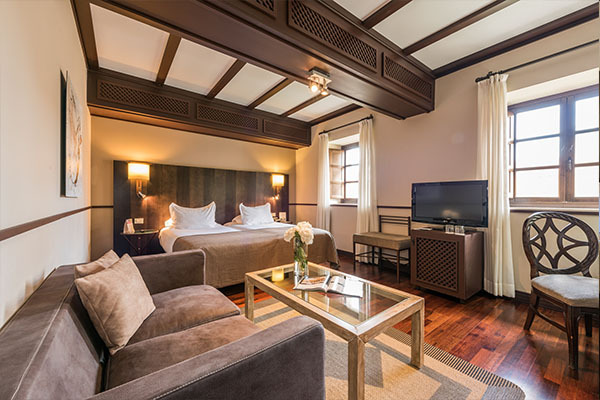 To stay in this luxurious hotel offers the possibility of walking around the same places that Francisco de Vitoria or even Cristobal Colón did. 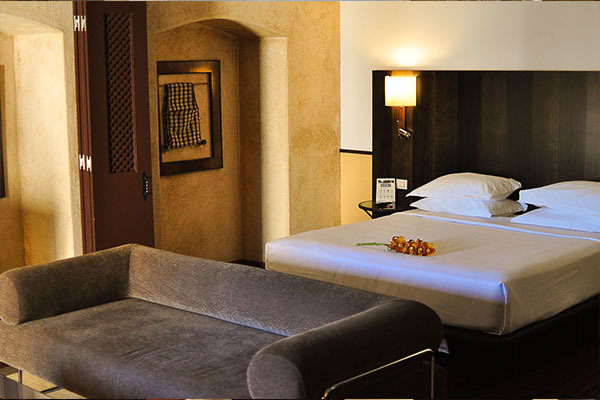 • Various rooms with a capacity of up to 120 guests. 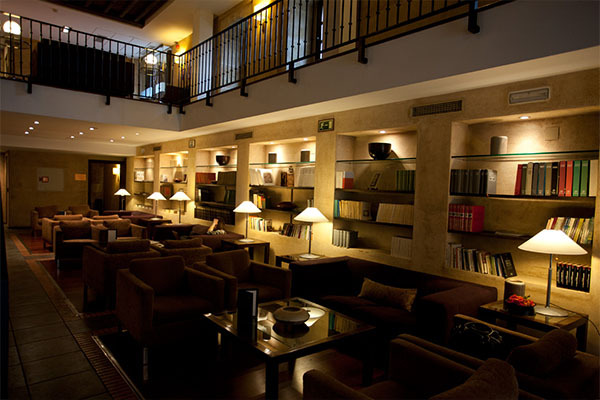 This is one of the best charming restaurants of Salamanca. It will surprise you with its suggestion of a renewed and actual Castilian Cuisine.